What's a pool party without pool party food? My cooking style is simple, colorful, fresh, and make ahead so that when the guests come you won't find me in the kitchen! Pool party food needs to be fun, easy to make and good tasting! 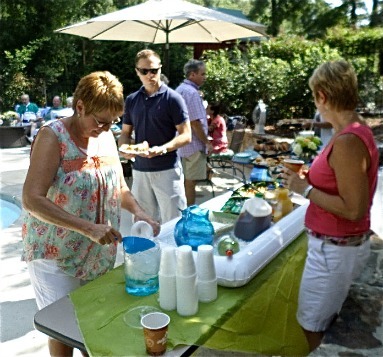 We like to entertain and have people over - sometimes elaborate plan ahead parties and some just spur of the moment. I have found lots of helpful ways to keep food cold on hot summer days. One is this inflatable tray filled with ice. Place drinks, appetizers, cold salads or desserts on it and when the party is over simply drain the water by opening up the drain plug. We got this one from Amazon that measures 51 1/2"L x 24 1/2"W x 5"D.
It is so inexpensive - less than $10 and this one has a drain plug to drain all of the melted ice. Serve summer appetizers that are cold, fresh tasting and easy to make. 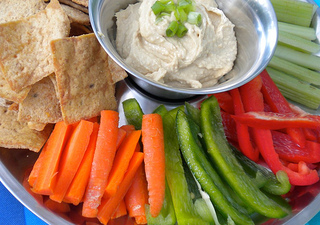 Consider buying specialty crackers with aged cheeses, or serving humas and pita chips, or a plate of fresh vegetables and fruit. 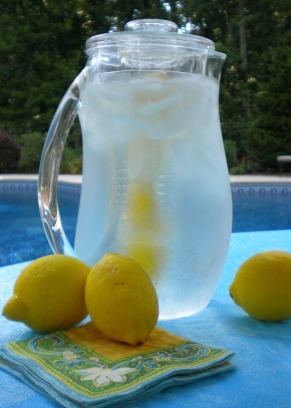 I love this acrylic insulated water pitcher because it keeps the water cold and it has an insert in the middle where you can put slices of lemon or lime for a refreshing glass of cold water. It is BPA Free acrylic and needs to be hand washed. It comes out for all of our pool parties. Other ideas for infused flavor is to use cucumbers or fresh berries. A double wall insulated stainless steel ice bucket keeps your ice from melting and condensation from forming even on the hottest days. I ditched my plastic ice buckets and switched to this one so I can use it for indoor or outdoor parties. It comes with a pair of tongs and an insert to place on the bottom for water to drain. 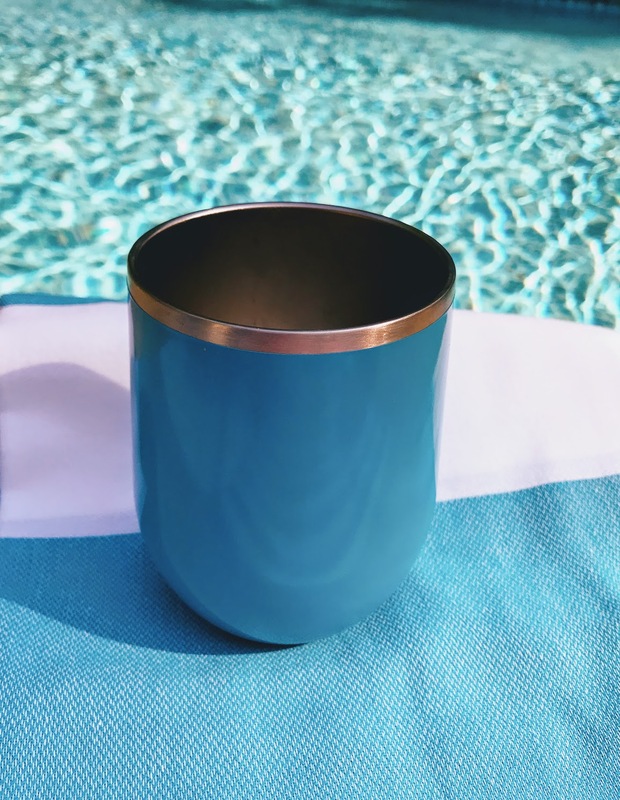 Keep your drinks cold with stainless steel double wall insulated cups that can be used for water, wine, or soft drinks. 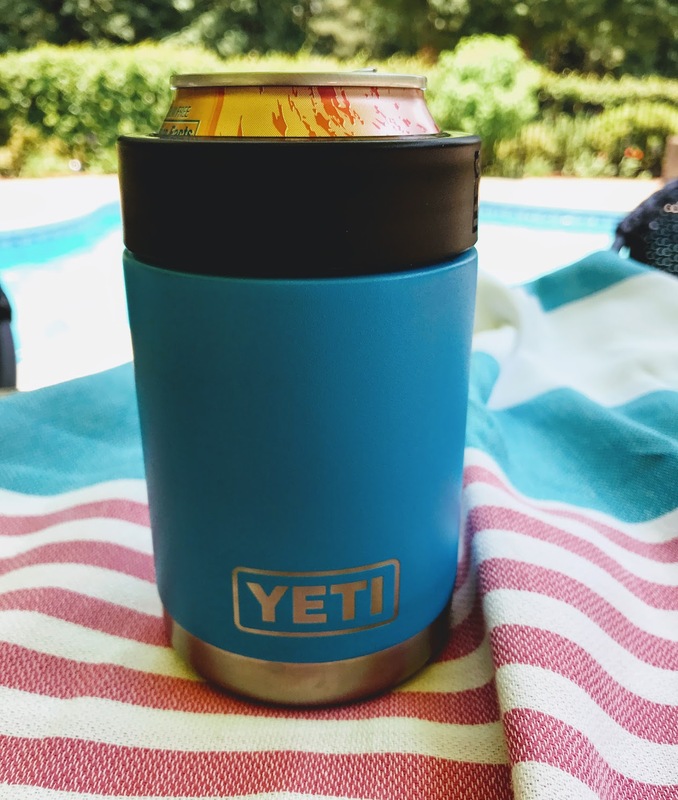 Keep canned beverages cold for hours with a Yeti Rambler. Thanks to double-wall vacuum insulation there will be no more luke warm drinks - this insulated kitchen grade 18/8 stainless steel Yeti Rambler means even the last couple of sips are still ice cold. Of course it's BPA free and has a Now Sweat design. The Yeti Rambler is dishwasher safe but do not place in the freezer (or microwave obviously). 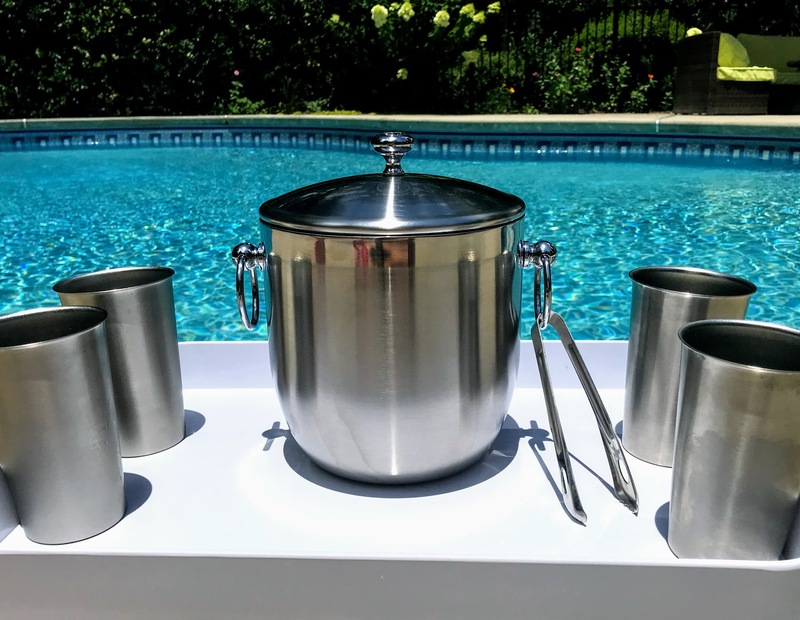 This stainless steel beverage cooler with wheels can be moved easily to any part of the patio or pool area - 2 of the casters are locking so it doesn't roll or move. A drainage plug makes it easy to drain melted ice and a handy bottle cap opener (and cap catcher) is located on the side of the cooler. Keep the lid closed on hot days so the ice doesn't melt. So much nicer than bending down and fishing out a drink from an old plastic cooler on the ground. An extra bottom shelf is a great place to place some extra paper goods, drinks or other party items. Some people leave it out year round. A high quality serving item that not only looks great but is a functional way to keep and serve your beverages or cold food items. Quit using the old cooler and start using something a bit more classy - like an easy to accesses beverage bucket to serve your drinks. From square shaped see through acrylic to hammered metal to insulated fabric there are a variety of designs to match your entertainment style. 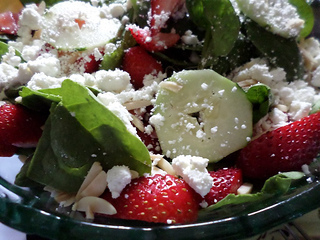 Looking to serve salad as a side or as a main dish on a warm summer evening? We often make a cold wild rice salad that makes a great side salad or add some chicken and you have a main dish. It can be made ahead of time so that you can just pull it out of the fridge when it's time to eat. 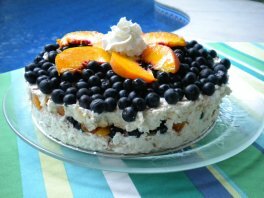 Cold dessert recipes can finish off a nice meal by the pool or it can be the "main event." Some of our gatherings by the pool are later in the evening so a special dessert becomes the focus. We love making and serving fruit smoothies in the summer. 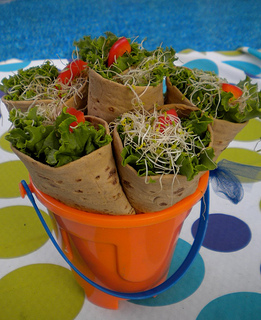 It is a favorite pool party food for kids and adults. As a registered nurse, we try to make our smoothies healthy as well as good tasting. So normally, I don't use ice or fruit juices. Instead I use all frozen fruit, (organic fruit when possible), yogurt, and for the liquid organic milk, almond milk or organic soy milk. These fruit smoothies taste great and are good for you too!